Lord-Lieutenants get to some interesting places! Today I visited RAF Wittering heritage centre as part of the RAF 100 celebration. 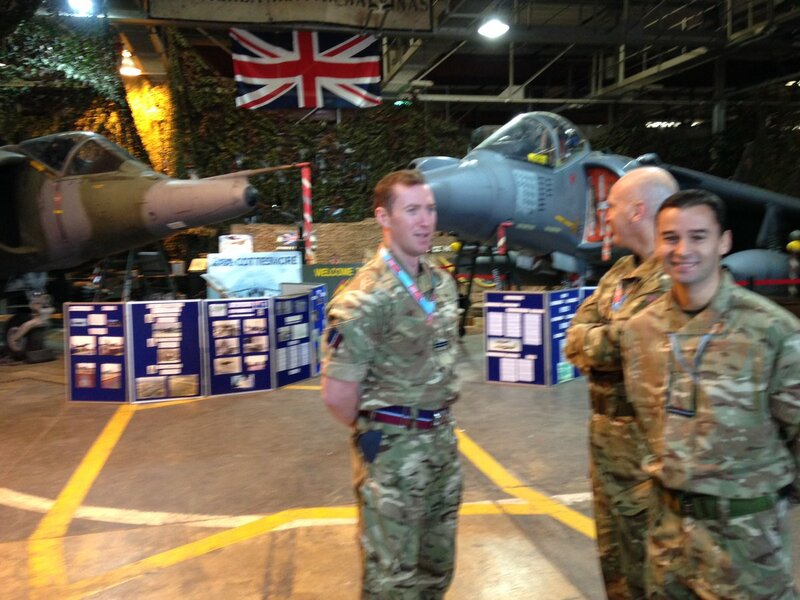 Picture 1 shows a Harrier GL7A which served in Afghanistan & a GL3 which served in the Falklands. 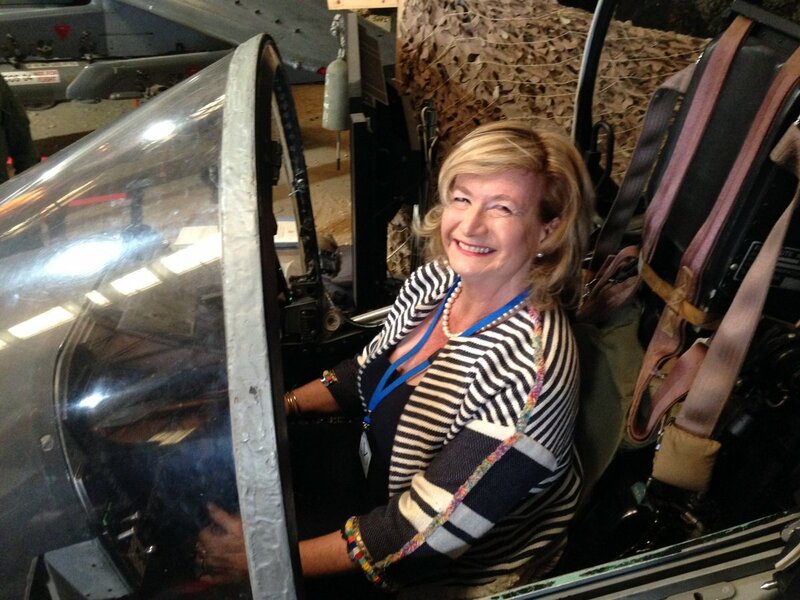 Picture 2 shows me being allowed to fantasise a little… I have such admiration for fighter pilots – the plane has fiendishly complicated controls! Thanks to all – great job! 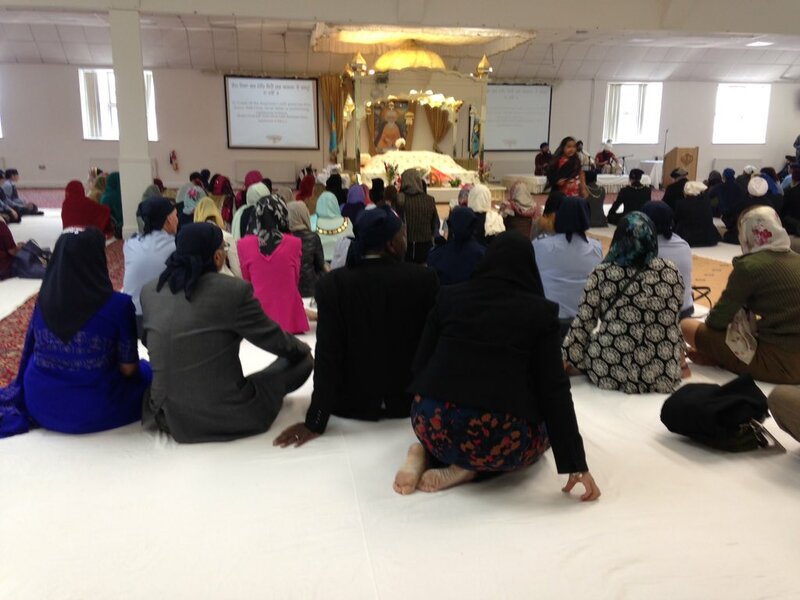 29th September – Major world religions paid tribute to the RAF in its centenary year at a multi-faith service at Gurdwara Gur Panth Parkash in Leicester. The Jewish, Muslim, Sikh, Hindu, Christian, Jain & Buddhist religions were all represented. Her Majesty The Queen sent her warm good wishes and Air Chief Marshal addressed the congregation. Another 100th birthday to celebrate in one week! 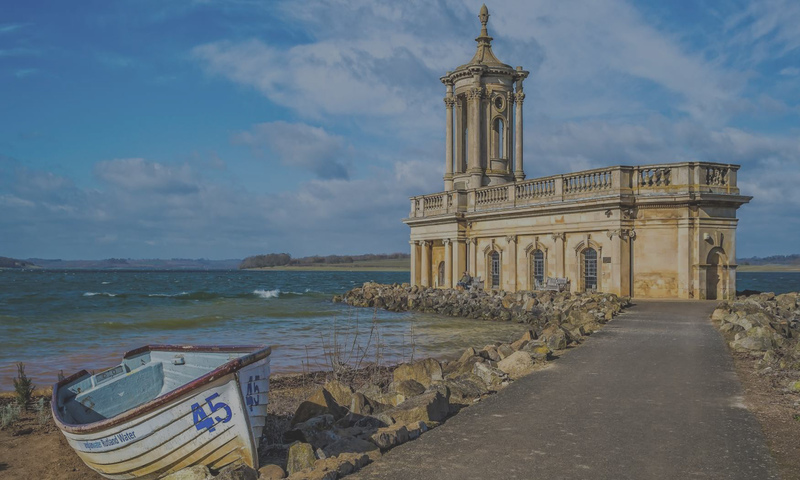 Is there something in Rutland’s water?? It was a great pleasure to visit centenarian Nancy Boddington at her home in Edith Weston, Rutland on her birthday today. As Her Majesty’s representative I joined her with her great grandchildren, family & friends on her very special day. Thanks also to RAF Wittering; they sent a piece of cake from their own RAF100 Celebration . 1918 must have been a good year! Happy 100th birthday to Cyril Plant- looking very chipper for his years! At Rutland‘s Tixover Grange Care Home, this Friday was party day in his honour. Brian Maunders played his guitar and sang. A great pleasure to meet Cyril, all the other residents and the lovely staff. Thank you for such an enjoyable morning. Oakham has a new Team Rector! 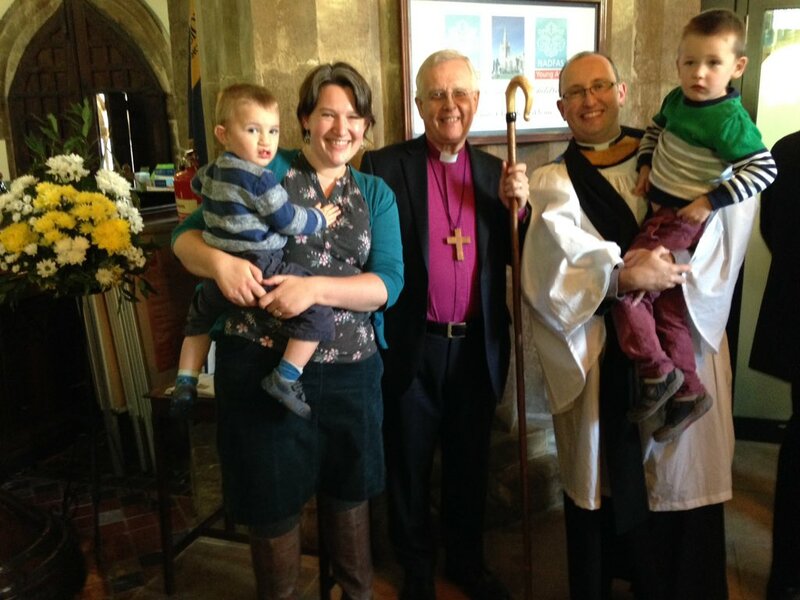 Bishop Donald is pictured below with Stephen Griffiths, the new Team Rector of Oakham with his family. Stephen was welcomed by all in Rutland during his Installation service at All Saints Church in Oakham this afternoon. I was delighted to welcome him in my capacity as the Queen’s representative in Rutland. Congratulations! Ten years of Hambeton Bakery! 10 years of making arguably the best bread in Britain- if not the world. @HambletonBakery celebrates today with delicious baked goods made traditionally, with time and the best ingredients. Even better news – it is more filling & less fattening than mass produced! Congratulations!!! 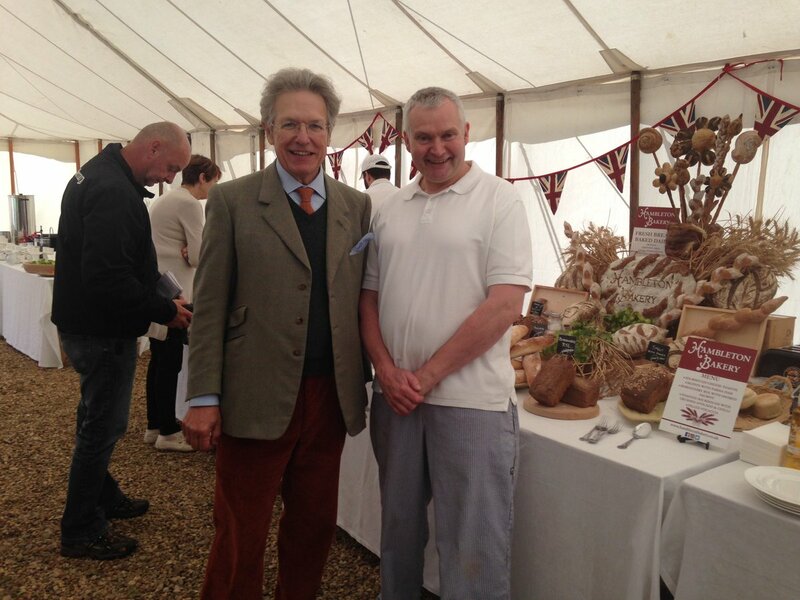 Tim Hart & head baker Julian at the event today. Congratulations to Rutland Concert Band on its 10th anniversary. 10 concerts in 10 hours – a great way to celebrate! Lucky Oakham castle this morning & evening and Oakham museum this afternoon. Big sound – lots of fun. Rain could not dampen excitement at @WildsLodge for their festival. Hundreds of excited youngsters from schools (of all types) across Rutland enjoyed music and myriad activities with the resident youngsters. A great day & a great educational establishment, helping boys with special needs lead better lives. An exciting honour to visit @7thRats Infantry brigade at Chetwynd Barracks . Lineage goes back to Napoleonic wars. Adaptable & battle ready. Operating in Poland, Mali, Nigeria, South Sudan & Afghanistan, training in many parts of Africa. My goodness our army works hard! There are many misconceptions about the army. Much of their work is peacekeeping, training and winning hearts and minds to prevent conflict. @7thRats also Headquarters for East of England. covers @2PWRRTigers @7Regiment #Melton Defence Animal Training #1 Military Working Dogs & Reserves. 19th September: Fun, chatter , good food & companionship were the order of the day at Dove Cottage Hospice. A remarkable place offering great care by devoted staff – many of whom are volunteers. Volunteer Joanne Beaver created a fabulous three course meal for all. Delicious apricot & almond frangipani – such a treat – Thanks! I am looking forward to publication of the Dove Cottage recipe book ‘Seconds Please!’. It will be a great Xmas present and funds raised will help the hospice too.